For the little bit of Irish in you all. Celebrate and enjoy the DAY! I dreamed I celebrated St. Patrick's Day in my Erin go Bragh! Sure and begorrah That's a tasty wee drop! Cheers mate. 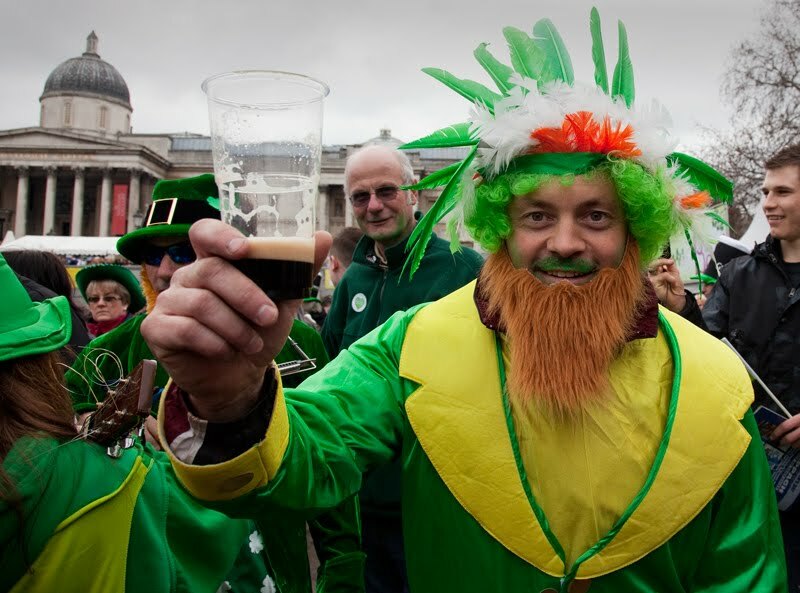 Happy St Patrick's Day and Happy Birthday, Italy! I've always known that Irish and Italian people have got lots in common! Ciao. A. Happy St. Patrick's Day! We had the leprechauns hit us with some poop in the toilet...a little green food coloring gel in the toilet does wonders in getting kids in the spirit of the day! As alarming as any green man. Great guy! He is having a fine day! And to you! I've got plenty of Irish in me. Yes, we have the same crazies here, too, but your Guinness is fresher. I'm Irish on my father's side and have cousins in County Clare. They love to speak their native language when in England just to confuse you guys. Wow - you captured quite a jovial lepricon there! Cheers!